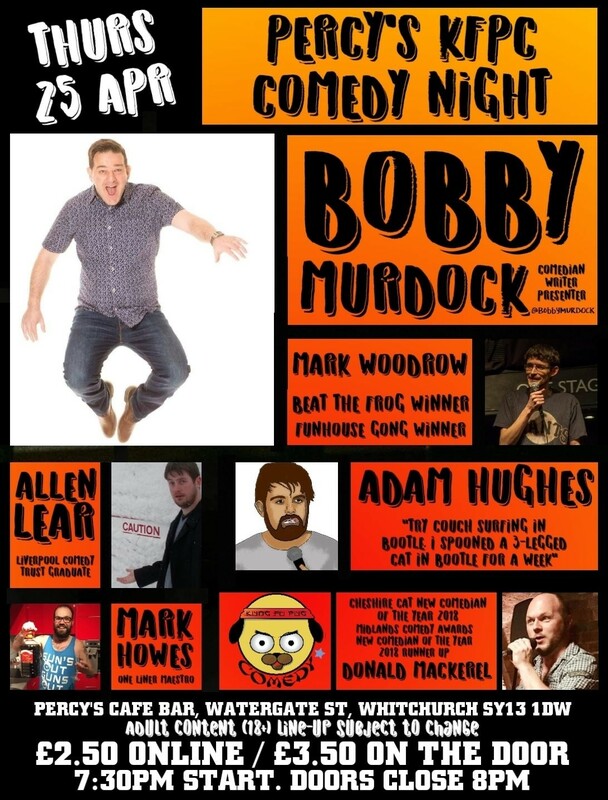 We've got a real treat in store with our fantastic headliner Bobby Murdock - Comedian, who is not only a comedian but also a writer and presenter. Bobby is a legend on the comedy scene and a big name in the North West, particularly in his native Warrington. Already supporting huge acts across the UK, don't be surprised if you see him on your TV soon. Supporting him will be none other than Leeds based newcomer Mark Howes, Tony Slattery's best mate and improv legend Allen Lear, gong show champ Mark Woodrow and the puzzling yet brilliant mind of Adam Hughes. I'm excited and worried in equal measure.